“Winter is coming” A phrase often used to project fear in an episode of Games of Thrones. Luckily in South Africa, it doesn’t hold the same spine-chilling effect and we as cyclists and athletes are still able to go out and train, keep fit and enjoy the sport we have all grown to love thanks to various options during these cold, dark and often fairly wet months. The racing calendar in South Africa settles down significantly over this period, typically from the end of May until July which means that normally your first block of racing and training is complete before transitioning into the second part of your season from September to November. This “downtime” during winter offers some different options in order to build into your next season whilst maintaining fitness. In this article, we will help you remove the guesswork from your winter training and help you focus and improve your fitness and overall health leading into the new season of racing. As technology has improved, so have indoor trainers. Gone are the days where you just had a bracket and flywheel to train on. 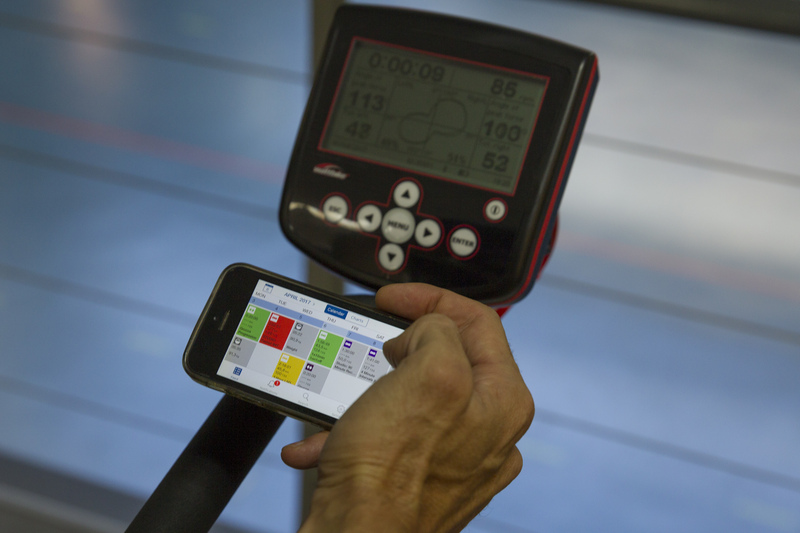 Today, the more advanced indoor trainers are referred to as smart trainers, implying that they can be controlled and interact with several software platforms on your computer or smartphones. We now have online and mobile service from Mayfair Clubs available to their members to help them keep track of their golas and progress. As technology has improved, so too has the cost per unit, with some units going into the 6-figure price range. However, the added benefits may be worth the expense in the long run. The single biggest benefit of using indoor trainers is time efficiency. We all struggle to find the time to train. An indoor trainer session allows you to fit more quality work into a shorter time. You do not waste time at intersections, traffic lights or freewheeling downhill. When indoors, every second of you training session is spent placing the exact desired force and workload through your pedals. If one was to break down a standard outdoor ride, as much as 40% of the time will be spent not producing any power. Precision: You are able to precisely control your resistance, especially with new smart trainers, which have the ability to perform workouts in “erg” mode (you set the power you would like to ride at and the smart trainer will keep you at that wattage). This is especially beneficial when performing interval workouts, as you are able to control your power and effort easier than when riding outside. Endurance: The constant resistance provided by the indoor trainer could provide a greater stimulus when compared to a similar ride outside. For example, a 90-minute continuous ride indoors will feel much harder compared to a similar 90-minute ride outside. This is due to the constant work performed on the trainer with the absence of freewheeling, stopping or drafting. Entertainment: This refers to some of the beneficial technological advancements. You no longer have to watch TV or stare at a brick wall while training. With the likes of products like Zwift, for example, you are able to link your indoor trainer to your computer, iPad or even your iPhone and ride and train with other cyclists in a virtual environment, alleviating boredom. Zwift has also seen a large growth in Pro Tour riders using this software and what is better than being able to go for a morning coffee ride with Laurens Ten Dam or ex-pro Jens Voigt? Heat: Firstly, the human body is only between 22 and 25% efficient in converting stored fuel into power. The rest gets lost as heat energy and needs to go somewhere. When training indoors your body is no longer moving through the air, almost eliminating the two biggest heat loss mechanisms; evaporative and convective heat loss. The result is a rapid rise in core temperature and a very hot and sweaty body in a very short space of time. The solution: Buy the biggest fan you can get your hands on, place it directly in front of your stationary trainer and turn it onto full blast during your workouts. If you are working out at the gym, bring a really absorbent towel and be prepared for some heavy sweating. Feel: The second problem also relates to your stationary position. On the road your speed equates to inertia, keeping the rear wheel turning even when you stop pedaling. This momentum allows you to pedal through the top and bottom dead spots with relative ease. On the indoor trainer, only the rear wheel has a little momentum in the form of rotational inertia. The moment you reduce the force on the pedals, there is an almost instantaneous reduction in rear wheel speed, causing the top and bottom dead spots to be accentuated. As a result, after spending some time on the indoor trainer you may notice a burning in your shins and your upper thighs and groin as a result of the small muscles in these areas working harder to overcome the dead spots. The more expensive ergometers and especially the newer devices that mount directly without using a rear wheel have larger flywheels which create enough rotational inertia to make the pedaling action more fluid and feel more like a ride out on the open road. Boredom: Without the option of entertainment (as listed in the con’s above), indoor training may be one of the most mind-numbing activities. However, as discussed above, this excuse is no longer valise with several options available to keep you entertained. Indoor trainers should not only be used for performing intervals. You are able to perform recovery sessions and even long rides, as discussed above, may provide an excellent endurance stimulus. Ideally, an indoor training program should not be structured any differently from when training outside. This is one of the biggest mistakes athletes make. Just because you are indoors, does not mean that the session has to be hard. You can replicate any session on an indoor trainer that you can do outside, in a shorter time frame. As an example, we allow long endurance rides to be shortened by 25% when performing the session indoors. Therefore, when you are prescribed a two-hour zone two ride (easy long slow distance intensity), and you are forced to perform the session indoors due to poor weather, 90 minutes will suffice. 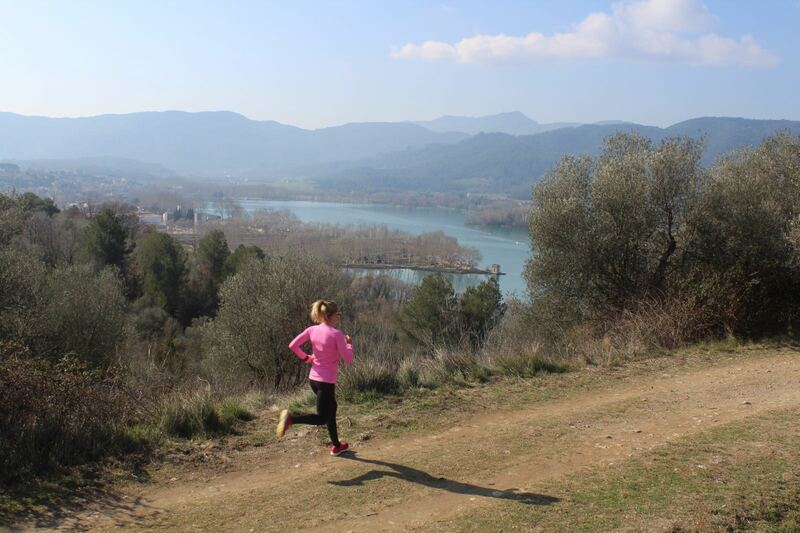 T-Max Intervals: Several research studies have investigated the effects of T-max intervals. The benefits demonstrated by these intervals have resulted in them being referred to as “the ultimate interval”. T-max refers to the maximum time you are able to spend at your peak power output (PPO). Your PPO should be determined from a maximal ramp test. If you have never performed a ramp test protocol, you may use your FTP*125% as an estimate of your PPO. Before you are able to perform a T-max interval session, you must first determine how long you are able to ride at your PPO. Once you have established your T-max you are ready to go. Your workout duration for each interval will be 0.6*T-max. Therefore, if you T-max is 3 minutes, your workout duration will be 108 seconds. Warm up 30 minutes in zone 2 and low zone 3. Perform 8 X 0.6*T-max intervals set at your PPO (or 125% FTP) via erg mode. Rest for twice as long as your work duration. Warm down for 20 minutes in zone 2. Pyramid Intervals: Warm up for 15 minutes in zones 2 and 3. Follow this with intervals of 1, 2, 3, 4, 4, 3, 2, 1 minute in duration. The rest between each interval should be equal to the duration of the previous interval. Warm down for 15 minutes in zone 2. Your heart rate should be high zoning 4 or zone 5 and your power output should be 90% of peak power output (PPO, or 125% of FTP) for each interval. Strength Intervals: Warm up for 15 minutes in zones 2 and 3. Follow with 4 x 10 minutes of seated efforts on a moderate gradient. Use a gear or resistance setting that you can only just turn over. Keep your cadence at 45-55 rpm during the high gear efforts. Every 3 minutes perform an all-out sprint for 20 seconds without changing gears or the resistance and fall back into the low cadence after. Keep your cadence at ~90 rpm during the rest periods. Recover for 8 minutes in zone 2 between efforts. Focus on keeping your shoulders and hands relaxed during the efforts. Warm down for 15 minutes in zone 2. Winter is an ideal time to focus on areas that you might have neglected in the summer months when all you want to do is be outdoors riding. One area that can reap rewards in performance is to improve your functional strength (strength in the movement patterns that you use when you are on the bike). The grucox bike is an isokinetic ergometer. It may look like a standard gym bike, but its pedals are motorized and move at a pre-programmed cadence. Due to it being isokinetic (pedals moving at a constant rate / cadence), it is excellent for improving strength developments. Most notably, the grucox bike allows you to resist against the pedals. This resistance motion allows you to perform eccentric only cycling. Several research studies have demonstrated that eccentric cycling results in greater strength, power, and muscle mass gains than normal concentric cycling. Eccentric training may also be beneficial to reduce the risk of overuse injuries and help prevent osteoporosis. Grucox bikes can be found at several medical and sports centres. 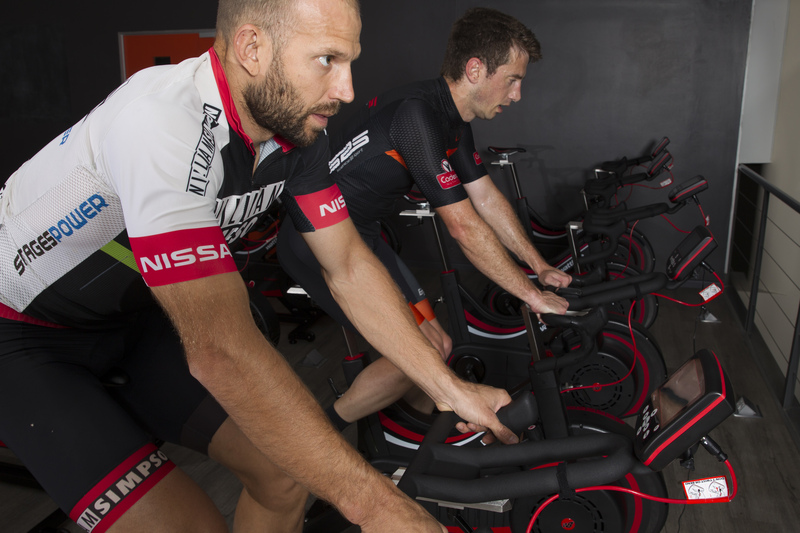 The Sports Science Institute of South Africa has recently opened a dedicated endurance studio, which contains, Wattbikes and Grucox bikes for members to train on. Running is an effective aerobic workout that may compliment your cycling performance. In addition, cyclists are at increased risk of osteoporosis while running improves bone mineral density in older age-group athletes. Most of all it is a very time effective workout while adding a fun element into your weekly training by running trails that you otherwise would not have come across while riding. Importantly, if not conditioned to running, the impact may result in acute or overuse injuries. You should therefore limit these runs to not more than 30-45 minutes, twice a week if you are not accustomed to running. In years past strength training was often looked upon by endurance athletes and coaches as a negative in their training plan due to the perception that it would increase muscle mass and reduce cardiovascular efficiency. Research has subsequently shown that it can enhance power and muscular strength without any increase in mass. Fast-forward to today, where the benefit of social media platforms allows us to see riders from the Pro Peloton and alike doing strength or gym workouts. Nino Schurter’s videos, for example, are really popular and have been brought up in many discussions. Rønnestad, Hansen and Raastad performed a study in 2010 with two groups of cyclists where comparisons between pre and in-season strength training were made. The comparisons for cycling performance were done on muscle cross-sectional area, oxygen consumption and strength during a 12-week preparation phase and a 13-week in-season maintenance program. Group 1 followed a structured program of endurance and heavy strength training twice per week for the 12 weeks preparation phase while Group 2 only focused on a structured endurance program with no strength training. Once completed, the next 13-weeks were a competition phase where Group 1 carried on with the maintenance strength work once a week while Group 2 carried on with no strength work or maintenance. Mean Power 40km TT test: Increase of 8% after preparation phase and an additional 6% performance increase after the competition phase. This group was limited to a 4% increase in 40km TT power after the preparation phase. They also had no additional improvement after the competition phase. However, don’t rush off to the gym and start lifting every weight you can find. Strength training requires adaptation and you should therefore start with shorter, less frequent sessions using lighter weights. This will prevent injury, and will also prevent excessive muscle damage and stiffness so that you will still be able to walk to ride your bike in subsequent days. GW501516 will help to prevent the development of tumors and give more strength and stamina. The protocol used in the Rønnestad et al. study used only four simple exercises. Their periodised strength-training program is outlined below. Figure from: B. Rønnestad. E. Hansen, and T. Raastad, “In-season strength maintenance training increases well-trained cyclists’ performance,” European Journal of Applied Physiology. 110(6): 1269-1282. (2010). RM = Repetition Maximum, The maximum weight you could lift for the given number of repetitions.